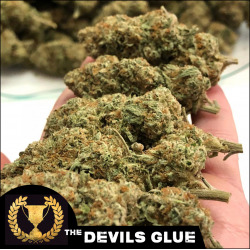 Here at The Devil’s Harvest Seed Company, we pride ourselves in creating tasty, heavy-hitting, high-yielding cannabis strains. All of our cannabis genetics are robust and suitable for indoor and outdoor growing (depending on location). Each strain has been selectively bred from our extensive and unique collection of cannabis genotypes to produce some incredibly potent ganja. The Devil’s Harvest Seed Company was started by 2 committed breeders after several years of individual success. During this time, both worked with many of the most reputable figures in the industry. After years of smoking and sampling the best products that Amsterdam’s famous Coffeeshops had to offer, our founders Daire & Paul decided to create The Devil’s Harvest Seed Company. Having already gained a reputation for creating some phenomenal weed The goal was to fully showcase their cannabis strains and distribute their cannabis seeds all over the globe. Lovingly combining solid old-school genetics with newer strains has resulted in some of the most unique and sought-after cannabis in the industry today. This has led to phenomenal international recognition and success. The Devil’s Harvest Seeds have rapidly gained a reputation for producing unique cannabis strains. Grow cannabis with superb flavours which pack the strongest punch possible. Choose our genetics to achieve high yields. Our regular and feminized cannabis seeds are very reliable and have been bred to have the shortest possible flowering period. Based in Amsterdam, our award-winning cannabis seedbank has taken the competition world by storm. We have won several high-profile Cannabis Cups. These include High Times Amsterdam, Spannabis & High Life to name but a few. 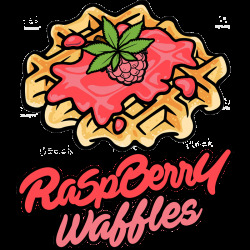 This success has led to us garnering support from across the stoner universe, including some high-profile celebrity stoners. Devil's Harvest Es gibt 14 Artikel.